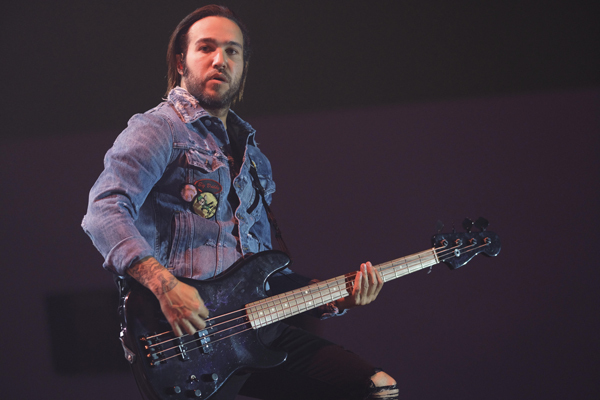 Review: Fall Out Boy - Trusts Arena, March 2018. An on-screen countdown set in front of a massive wave graphic preceded Fall Out Boy taking to the stage last night at Trusts Arena - a countdown which caused mass excitement and loud counting down. As it reached zero, peak excitement was reached as the four-piece Chicago natives took to the stage - their first appearance in New Zealand since the release of their new album ‘MANIA’, which saw a night of singalongs like no other. 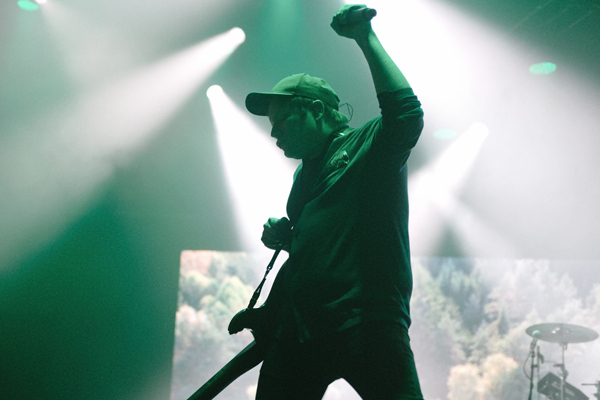 Busting straight through ‘The Phoenix’, ‘Irresistible’ and ‘Hum Hallelujah’, the band were on perfect form, before lead vocalist Patrick Stump let the audience entirely sing the intro to ‘Sugar, We’re Goin Down’, which they happily obliged. Some very lucky fans were then called out by Wentz to watch the show from the side of the stage, before a stunning piano-led ‘Save Rock And Roll’ saw Stump’s vocals on perfect form with the impeccable key-change. Stump stayed on piano for ‘Young And Menace’, with a solo version leaving the audience in sheer awe of his talents. 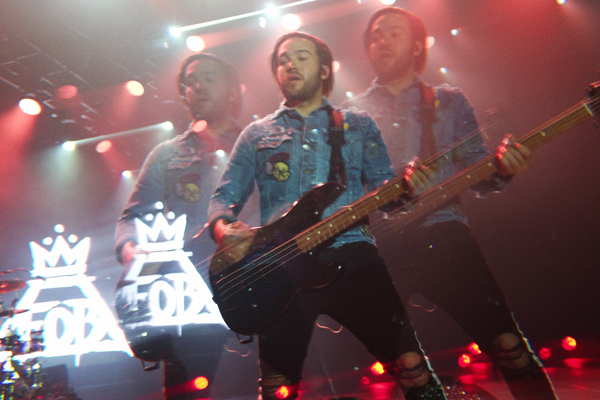 Andy Hurley had his time to shine on drums in a drum solo which saw him drumming over the likes of Kendrick Lamar’s ‘Humble’ and Post Malone's ‘Congratulations’, before Wentz dramatically reappeared on the B-Stage with a high-vis yellow jacket, where he stayed for ‘Dance, Dance’ and ‘Wilson (Expensive Mistakes)’. One of the most exciting parts of the show saw the ‘MANIA’ monsters/llamas grace the screen, and the actual stage (as they appeared to throw merchandise into the audience), before the band propelled through the final third of the show - which included a montage of middle finger raising for ‘I Don’t Care’, a throwback with ‘Grand Theft Autumn/Where Is Your Boy’, before closing the set with ‘Champion’. While a girl behind me screamed “Play ‘Heaven’s Gate!” as the band returned to stage (I agree wholeheartedly with her sentiment), the four-song encore included saw each and every audience member making the most of the band’s show. 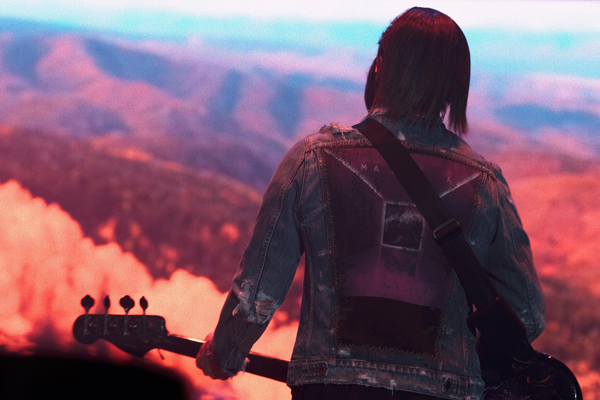 Continuing in FOB tradition, the band fully closed out with their 2003 song ‘Saturday’ (which, on a Wednesday night, still caused excitement), leaving the crowd eager for the band’s next return to New Zealand. MusicA Fall Out Boy x 'M A N I A' appreciation post. 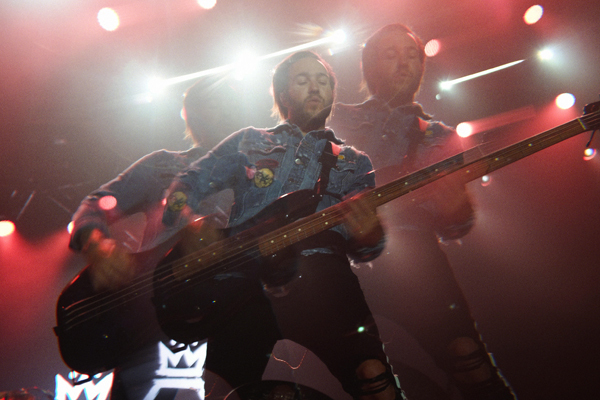 MusicFall Out Boy - 'Bishops Knife Trick' music video. MusicFall Out Boy - 'The Mighty Fall' music video. MusicFall Out Boy - 'Uma Thurman' music video. 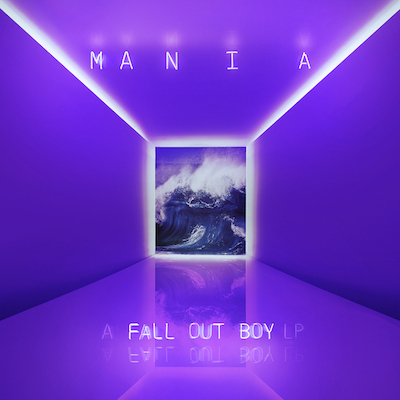 MusicFall Out Boy push back 'MANIA' album release to January 2018.